Scintillating Diamond Drop Earrings, 18K white gold with a floral pattern of brightness playfully sitting in the middle of a gleaming halo of diamonds. 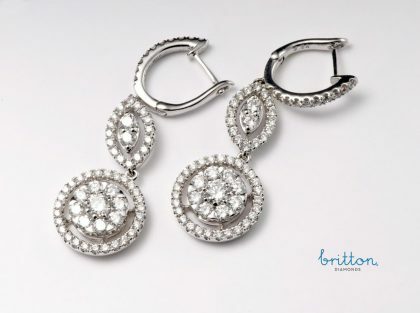 SKU: 140-00103 Categories: Diamond Earrings, Earrings. Tag: Diamond Drop Earrings; Diamond Earrings with Removable Diamond Drop.